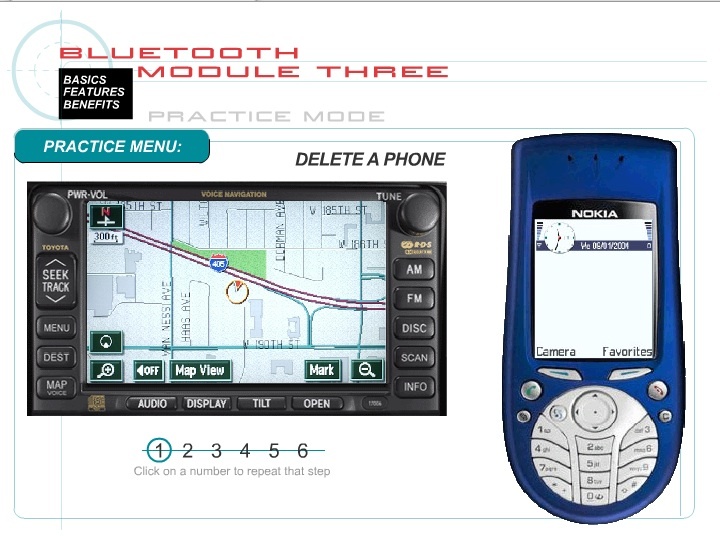 When Lexus needed to introduce their dealerships to Bluetooth technology, features and functions, they selected piXvfm to produce an interactive training program that would simulate processes such as Adding or Deleting a Bluetooth Phone. 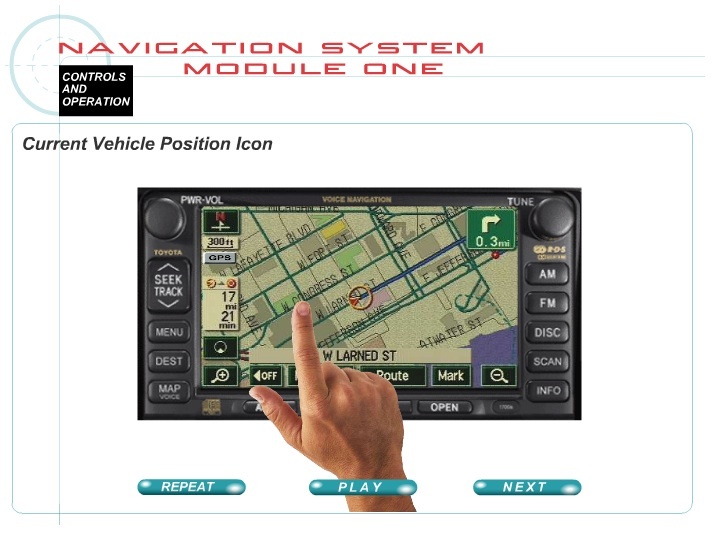 The program features a simulated Lexus Navigation panel and steps the user through functions as if they were in an actual Lexus vehicle. 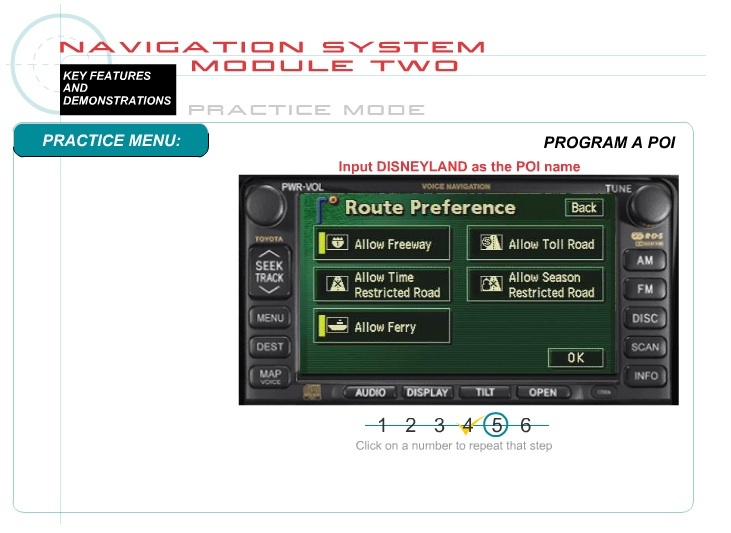 This interactive program was created to work within Toyota's LMS, and provides two paths of learning: a tutorial path and a practice path. 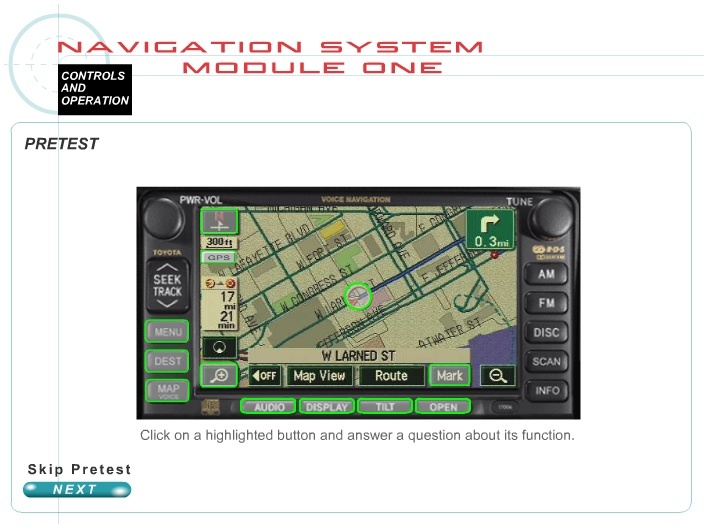 Programming can allow the learner to view the tutorial or practice in any order, or, as in the case of the Toyota LMS, require the learner to complete successfully the practice segment before advancing to the certification exam.